Today, May 9th, 2015 is going to be a historical day for the Freedom of Internet in India, as the Government is about to announce it’s verdict on the whole controversy. Last month, IT Ministry under Ravi Shankar Prasad had set up a panel to look into the allegations that TRAI is introducing anti-net neutrality plans and schemes in collaboration with telecom players. The panel is expected to look into the replies which Indian citizens had sent to TRAI in response to their consultation paper with 20 questions. Besides, as per the statements issued by the Govt. in the past, it is likely that the panel have researched the nuances of net neutrality and the norms which are being followed all over the world regarding the same. Government May Favor Net Neutrality? IT Minister Ravi Shankar Prasad, on several occasions, made it clear that the integrity and fairness of Internet cannot be compromised at any cost. Few days back, he had hypothetically proposed that net neutrality can be included as one of the conditions for granting licenses to telecom companies; thereby stopping these companies from introducing any scheme which threatens to disrupt the free flow of Internet. He has already assured that TRAI, which had initially proposed different charges and fees for accessing different apps and websites (thereby breaking net neutrality principles) is not the final authority in this matter; and the Govt. will have the power to make the final decision. 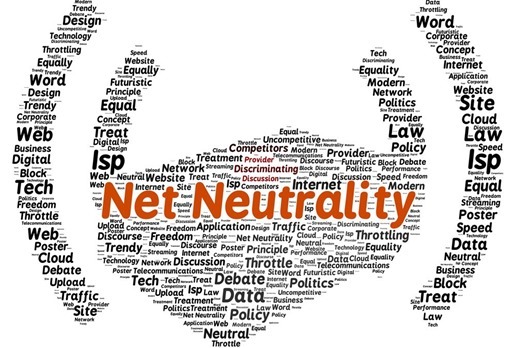 As the moment of Government’s verdict on this burning issue of taming and enslaving Internet has reached it’s crescendo, TRAI Chairman Rahul Khullar has, surprisingly, come out with full support for Net Neutrality. Interestingly, it was TRAI which came up with the idea to charge OTTs with a different tariff plan, which prompted Airtel to come with Airtel Zero, a discriminatory platform which is trying hard to regulate and police the Internet. Rahul added, “But we need to understand that there are certain issues that need to be addressed”; which actually means that the freedom of Internet and choice will come with certain terms and conditions, which are not very clear as of now. He emphasized the fact that three basic principles of using Internet should be implemented by all telecom companies: No blocking of websites; No throttling or downgrading service ; Full transparency in the working. In TRAI does some introspection, they will realize that both Internet.org and Airtel Zero grossly violates all these three ‘basic requirements’ of Net Neutrality. Airtel have realized that Indian startups and service providers have shown ‘zero’ interest in their plans and Facebook is already facing extreme opposition to their version of providing Internet. We will keep you updated as more information comes in from the Government regarding Net Neutrality. Google Adds Food Ordering To Search, Eyes $370B Online Food Delivery Market? COAI Says TRAI’s Recommendation For Public WiFi Is a National Security Threat! BSNL Unleashes Broadband War, Offers 45 GB for Rs 99; Jio’s Speed Continues To Dip! Data Resale Will Massively Push WiFi Across India; But Will DoT Allow This? Good News For Internet Users: Minimum Broadband Speed Will Be 2 Mbps Soon! Why hasn’t the verdict come yet ?I find it really surprising that Mr. Modi has still not shown his support for net neutrality.I was hoping he had be the first one to support net neutrality! I’m sure if you would look at both of them in detail, you would understand that both of them if implemented on the three set criteria would not violate the basic requirements. Rahul Khullar is much more concerned about the future of internet than any of us.